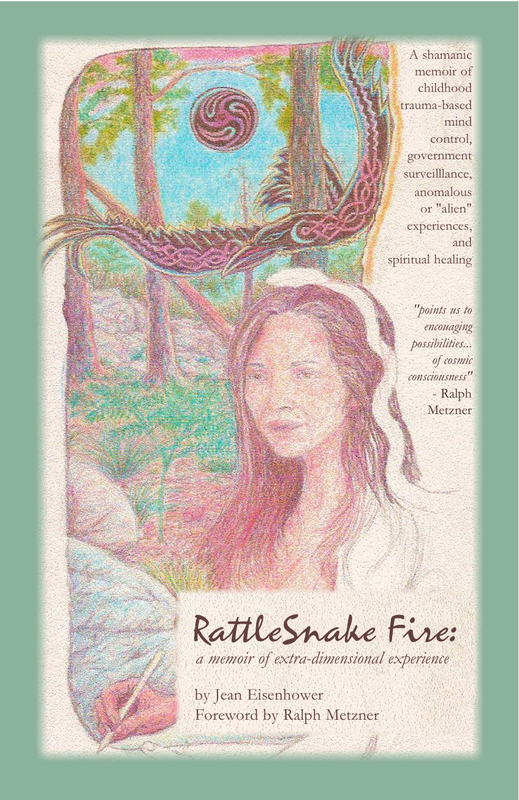 In the two and a half years since I first published RattleSnake Fire, I have occasionally felt embarrassed that I wrote my story in the voice of the person I was as I experienced each event: astounded, afraid, credulous, terrified or confused. Oftentimes I was literally of two minds, part of me understanding and in awe that the multi-dimensional world I’d always believed in was now revealing itself to me, even calling me to it, while another part of me tried to deny it or wanted to flee. I chose to speak for the often-frightened, skeptical part, as I wanted to give voice to what I believe is the most common experience for people caught in the illusions of this material world. Meanwhile, the other parts of me, wiser parts, which we all have, have often felt impatient with that frightened and doubting voice I chose to put forward. We all want to believe that when heroic moments present themselves to us that we will respond heroically. But sometimes we don’t. And this aspect of our insecure, disconnected humanness – my humanness – I wanted to acknowledge, in all its frailty, sometimes embarrassment, and fear, and give it honor as a necessary stage in the archetypal journey of The Fool. Few are ready to have their worldviews ripped to shreds, and so fear of these experiences is natural. Courage is not the absence of fear, but the act of making an assessment of whatever is the situation then surmounting fear if one chooses to act on that assessment. I’ve acted fearfully at times, but I’ve also assessed my situation to the best of my ability and gone forward into the Mystery. My journey has included events of blissful awakening and even ecstasy – along with the sobering reality of the Dark. I wish I could write that the Dark is only an illusion, and escape is as easy as not looking. But all the years I chose not to look were years of vague confusion. When I was forced to overcome this fear, my world became clearer and multi-dimensional. I have wrestled greatly with the common New Age instruction to focus on the Light and not empower the Dark by my attention. It is absolutely true that focusing on the Dark gives it more power. I learned this as I sank into, not one, but a few deep depressions so fearsome that day-after-day I believed it would be best for me to take my own life. I may seem to contradict myself when I introduce my next point, but please hear me through: Acknowledgement was essential to see my world clearly. Once acknowledged, I changed my focus to the Light, and the Dark magically, if slowly, withdrew. There is an essential distinction to be made between acknowledgement and focus. The first is to simply perceive; the second directs my energy. I cannot wisely direct my focus without first correctly perceiving my environment. While some have called my book a “page-turner,” others (grown men) have said they couldn’t finish it, that it was “too terrifying.” My advice to those people: Skip ahead to the last chapter, and see that my story concludes far better than fine. We live in a multi-dimensional cosmos which is highly populated, and from which we are not separate; we’ve only been trained to believe we are alone, having been given wrong directions for connecting to our multi-dimensional selves. I hope my story gives comfort to those who’ve also become aware of things few others will acknowledge….